When I was in the classroom I always looked forward to back-to-school. Getting my classroom ready, that feeling of the excitement for a new year left me with the anticipation for great things to happen. But heading back to school and getting in the groove was less about content and more about ensuring we had a successful school year. Whether you've been in school for a few days or a month or two, there are a few, simple things you can do to find that success. Establish Relationships-Getting to know my students was the first thing I did every year I taught. There was always that pressure to get starting with the content but I found that if I made connections with my students, I could more easily teach them. I understood who they were, their passions, and their interests. Take the first few days to learn who your students are. The time taken will pay off in the end. And keep those relationships going. Schedule time to talk with students 1-on-1 as often as you can. Even a simple conversation in the morning or in the hall can prove to be beneficial. Setting Goals-As an educator it’s important to reflect on the previous years, the high points and the low points. Use those reflections to build personal and professional goals for the new year. Maybe you want to learn a new technology skill or challenge yourself to grade differently. Whatever your goals, make them actionable and reachable. Students can do the same. Set aside time to have students create learning and personal goals they want to accomplish throughout the year. Develop a plan to check in regularly and report back. Using something like Google Docs or Forms makes collecting and sharing those goals easy. Get Connected-One of the most important ways an educator can grow and learn is to get connected. 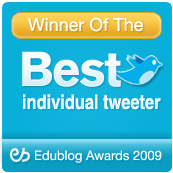 Joining Twitter, reading blogs and contributing to an online community are all ways that you can hear about the good things that are happening in other classrooms/schools and learn from others. These places can also serve as a virtual sounding board when you run into a problem or need a solution. October is Connected Educator Month so there are many opportunities to learn how to be a connected educator including book studies and free webinars. 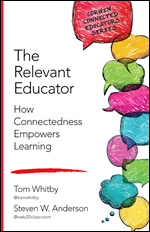 And speaking of books (shameless plug) you can check out my book, The Relevant Educator: How Connectedness Empowers Learning that can help guide your connected learning. Celebrate The Good Things-For some educators the thought of inviting parents into the classroom is a terrifying one. Parents want to be involved in the classroom and should be. Make contact with parents as early as you can. I would always beg my principal for my class list early so I could write and send home a personal note to each of my students and parents before school started, welcoming them to my class and letting them know a few things about me and our classroom. This continued through the year. I tried to write a note twice per year for each student that got sent home in the mail. With email and texting services like Remind, it’s even easier to make those connections. Starting off with the positive makes having to discuss the tough points easier because you’ve established that relationship and dialogue in a positive way first, rather than a negative one. Create A Virtual Classroom-My school website was the way that I let the world know what were learning in our classroom. I could post notes from class, any files students needed, use the calendar to post homework and curate a list of resources for students to use outside of class. It’s important today to create a virtual space for your classroom. Some districts provide a website for educators to do this, while others allow them to create their own. There are a wide variety of products out there (like Edmodo) to do this so spend some time finding one that suits your needs. You’ll also want to examine how you can extend conversations from your classroom to the virtual spaces as well. Taking your classroom into the cloud allows you to create a private space to post questions, comments, blogs and more. These online spaces allow learning to happen not just in the schoolhouse but after hours as well. Whatever you do remember. Teaching and learning is not just about content. Kids need to know you care about them and their learning. Establishing relationships, showing you are a true life-long learner and celebrating them are just as important (and sometimes more-so) than how to multiply fractions or who the 13 President was. 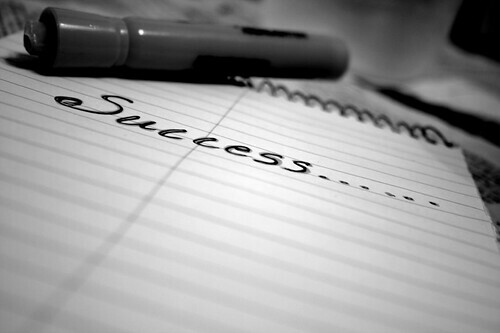 What are some ways you ensure success in your classroom? Leave a comment below. Tech integration in the classroom has become a hot topic in recent years. Educators are presented with so many device options for the classroom, but recently, Chromebooks have gained momentum. More and more districts are moving to Chromebooks as a cost effective option to put technology in the hands of more students. And because everything is in the cloud, Chromebooks don’t need any special software and can be easier to maintain for technology departments. The folks over at Intel Education are excited to help educators get better acquainted with Chromebooks. Their new site http://Intel.com/ChromeEDU is filled with helpful facts and information about Chromebook performance, as well as a contest to help keep things fun! Over at the site you will find out answers to all your Chromebook questions including things like what battery life is like, how durable they are and how you can expand what your Chromebook can do by checking out the Google Play Store for Education. One of the best parts of the site are the resources you’ve got access to, including using Chromebooks in primary grades, how they remove some common barriers to technology integration success and all you need to know about getting started with them. But why read all about Chromebooks when you can get one of your own! After you explore the site and learn more about these devices you can decide which feature matters most to educators. Is it speed? What about battery life? 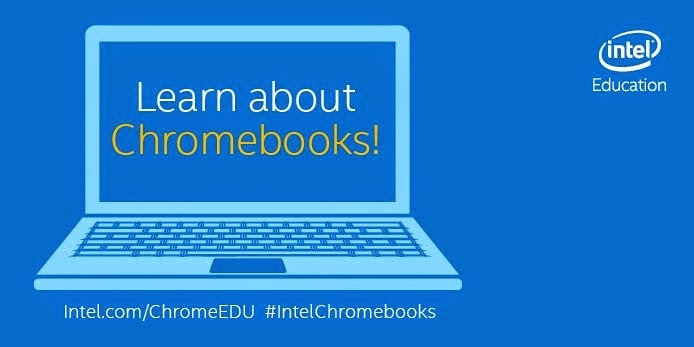 In order to win your own Intel-powered Chromebook, simply follow @IntelEDU on Twitter, then tweet your favorite feature in a Chromebook is with the hashtag #IntelChromebooks. Once you’ve followed and tweeted, you are entered to win! Contest ends 9/30/2014, so act fast! Be sure to check out the Intel Chromebook site and learn how Chromebooks influencing the technology integration landscape. Thanks to Intel Education for sponsoring this post. When I made the decision to leave the classroom to pursue my career in Instructional Technology I didn't know where it would take me or what I would even face. I was leaving kids and that bothered me somewhat but I knew that working with teachers was a calling for me and I was making the best choice for my career. Fast forward to today and as I reflect on all that I've been able to do, I know there is no way I could have done it alone. Over the past 6 years I've had some incredible opportunities I never thought I would have as an educator. I've presented at conferences all over the country and the world, even keynoted a few, worked with educators in just about every state, have 1 book published and 2 more on the way. But most of all I have learned with and from countless, passionate folks from all corners of the globe. I recently crossed the 100,000 follow mark on Twitter. Anyone who's heard me talk about Twitter knows I don't really talk about numbers. When it comes to social media the quality of the interactions are more important than quantity. 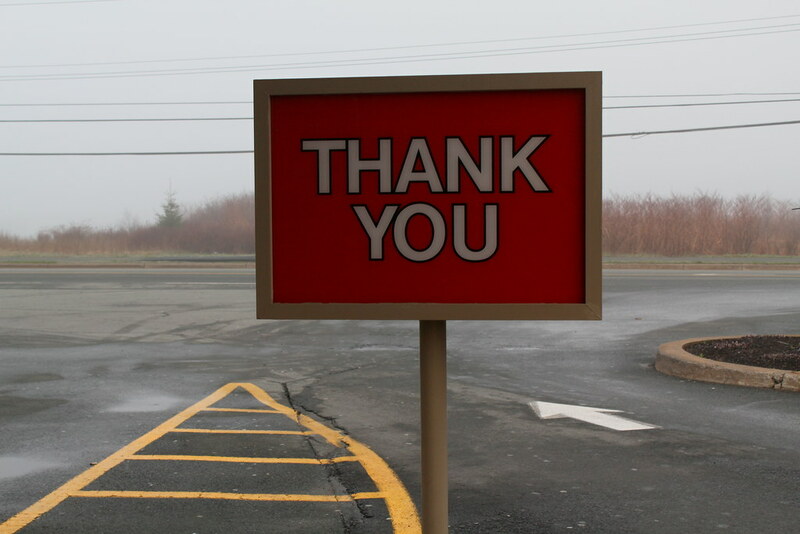 I am humbled that even a few people have followed me and read my tweets. Everyday I get to interact with so many great educators! I can't buy that kind of professional development or learning anywhere. 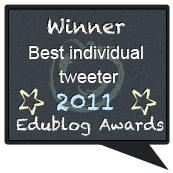 When I started on Twitter I did it to share blog posts with the teachers in my district and I saw the power it had the first time I got a comment on one of those blogs from someone in another state. The power our knowledge can have when we share with the world is important. As educators we have a responsibility, I believe, to ensure all kids everywhere have the best possible education. My end goal with all social media is to show just how powerful it is when we connect and to help as many realize their own professional potential. So here are 100,000 thank you's. Not only to those that find value in what I am sharing but to those that have dedicated their lives to ensuring that kids everywhere find their passions and share them with the world!